This entry was posted on June 24, 2013, in 2013, Fireside Chat, Live Show, PA, Pittsburgh, Tickets. Bookmark the permalink. 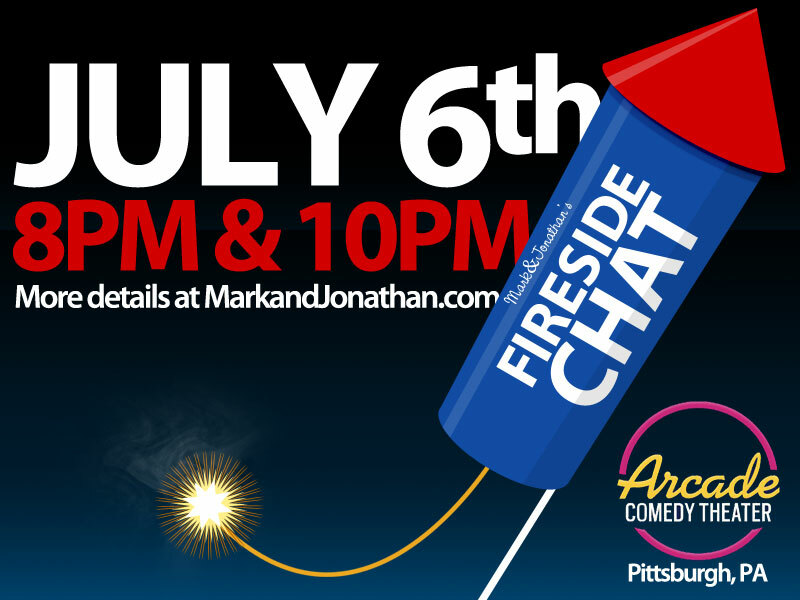 Join us for another installment of the Fireside Chat at the Arcade Comedy Theater in Pittsburgh, PA! We’ll have special guests, a house band, and even a cup with pencils in it!